Search Facebook for Gypsum Gun Club. 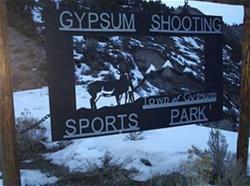 Located north of the Gypsum exit, the Gypsum Shooting Sports Park is available to all levels of shooting sportsmen. 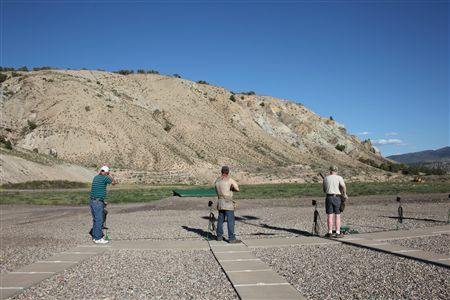 The Eagle Valley Rod and Gun Club at Gypsum Shooting Park has played a vital role in attracting sportsman from all over the region to use the facility for firearm education, perfecting shooting skills or participate in the many shooting events. 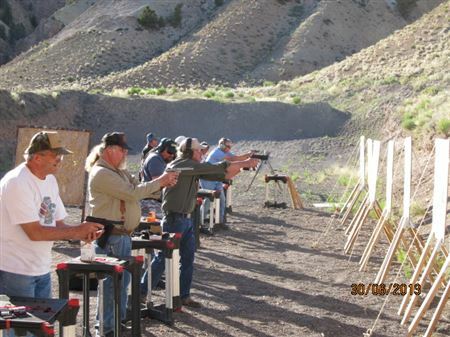 The Eagle Valley Rod and Gun Club offers a number of lessons, training, and events, not to mention has a great Rifle, Pistol, and 5 Stand Range to practice your skills. Hours of Operation: Shooting ranges are open at 7AM to dusk daily. Check the schedule to verify the ranges aren't booked for special events. Special events may require partial or complete range closure. Shooting Supplies: The Club has 12ga. shotgun shells available at the club house. Trap shooting requires tokens for a 25 shot round of clay pigeons. The onsite caretaker or club board members can assist in your purchases at the club. Members purchase at a reduced rate. Become a member and have full access almost all year. We are striving to build the Safest, most affordable, and user friendly shooting club. Individual membership costs $150.00 per year. Members can earn credit of $100.00 to cover 2/3 of their membership for subsequent years. The membership credit is called a work bond and there are several ways to earn the credit. Memberships open to everyone over 18 years old. The Daily Use fee is $5.00 per person. Every person at the club must have signed a waiver to be allowed on the club property. Please look at Documents / Membership Renewal to review the process and see where the work bond is applied. The gate can only be opened via the RFID cards and temporary codes. No longer will there be a yearly code. Cards can be picked up during Trap / 5-Stand / Board Meetings. Please review the calendar for times.